This article is about the Dutch province. For the larger region of which it is a part, see Frisia. For Other uses, see Friesland (disambiguation). 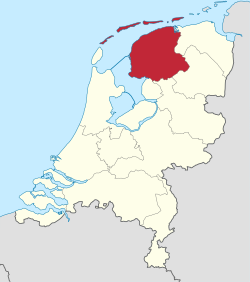 pronunciation (help·info), West Frisian: Fryslân, Dutch: Friesland; Dutch pronunciation: [ˈfris.lɑnt]) is a province in the north of the Netherlands and part of the ancient, larger region of Frisia. Until the end of 1996, the province bore Friesland as its official name. In 1997 this Dutch name lost its official status to the Frisian Fryslân. Nevertheless, Friesland remains in common usage, being the Dutch (and English) name for the province. Fryslân distinguishes itself from the other eleven provinces by having its own language, West Frisian, which is also spoken in a small adjacent part of the province of Groningen, to the east. Closely related languages, East Frisian ("Seeltersk", which is different from "East Frisian (Ostfriesisch)", a collection of Low German dialects of East Frisia) and North Frisian, are spoken in the Saterland and in North Friesland areas in Germany, respectively. Friesland is mainly an agricultural province. 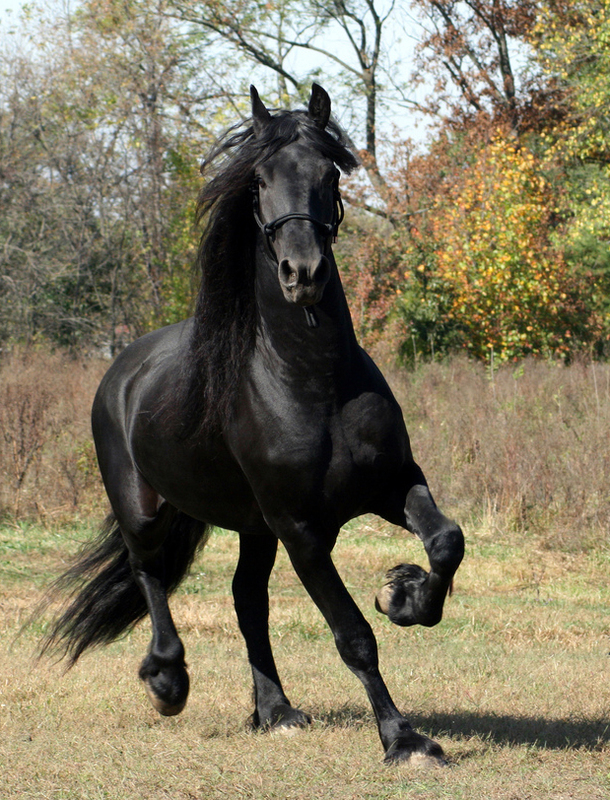 The famous black and white Frisian cattle and the well known black Frisian horse originated here. Tourism is another important source of income, with the principal tourist destinations including the lakes in the southwest of the province, and the islands in the Wadden Sea to the north. Another interesting feature is the presence of many windmills. There are 195 windmills in the province of Friesland, from a total of about 1200 in the entire country. The years 1880-1900 show slower population growth. Due to a farm crisis 20,000 Frisians emigrated to the United States. Climate data for Leeuwarden (1971–2000). The province is famous for its speed skaters, with mass participation in cross-country ice skating when weather conditions permit. When winters are cold enough to allow the freshwater canals to freeze hard, the province holds its traditional Elfstedentocht (Eleven cities tour), a 200 kilometer ice skating tour. A traditional sport is Frisian handball. Another Frisian practice is fierljeppen, a sport with some similarities to pole vaulting. A jump consists of an intense sprint to the pole (polsstok), jumping and grabbing it, then climbing to the top while trying to control the pole's forward and lateral movements over a body of water and finishing with a graceful landing on a sand bed opposite to the starting point. Because of all the diverse skills required in fierljeppen, fierljeppers are considered to be very complete athletes with superbly developed strength and coordination. In the warmer months, many Frisians practice wadlopen, the traditional art of wading across designated sections of the Wadden Sea at low tide. There are currently two top level football clubs playing in Friesland: SC Heerenveen (home stadium Abe Lenstra Stadion) and SC Cambuur from Leeuwarden (home stadium Cambuur Stadion). Since the late Middle Ages, Friesland was renowned for the exceptional height of its inhabitants, who were deemed among the tallest groups of Indo-Europeans. Even early Renaissance poet Dante Alighieri refers to the height of Frieslanders in his Divine Comedy when, in the canticle about Hell, he talks about the magnitude of an infernal demon by stating that "not even three tall Frieslanders, were they set one upon the other, would have matched his height". ^ Historical population Friesland 1714 - 2000,Tresoar. ^ "Knmi.nl" (in Dutch). http://www.knmi.nl/. Retrieved 18 March 2011. The frysian student society based in the city of Groningen. Chisholm, Hugh, ed (1911). "Friesland". Encyclopædia Britannica (11th ed.). Cambridge University Press. This page uses content from the English language Wikipedia. The original content was at Friesland. The list of authors can be seen in the page history. As with this Familypedia wiki, the content of Wikipedia is available under the Creative Commons License.